Pearl Jam are working on the follow up to ‘Lightning Bolt’ (2013) and have reported a vast amount of new material from the writing sessions. Following 2013’s ‘Lightning Bolt’ release, Pearl Jam have been dabbling in the studio over the last couple of years. ‘Lightning Bolt‘ hit No. 1 in the U.S. but also became the first Pearl Jam full-length not to attain a Gold or Platinum certification by the RIAA. The band hit some stadium dates last Summer but a full global tour is in high demand as is a new studio album. 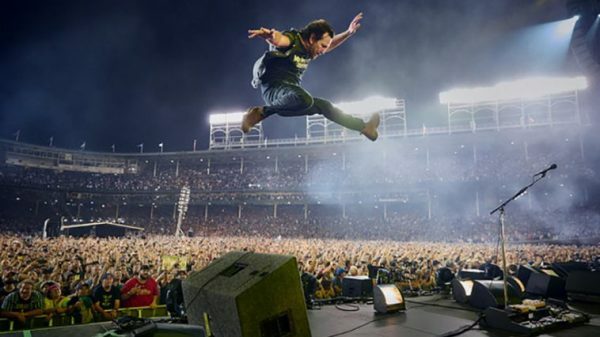 Keep an eye on Overdrive for more Pearl Jam news as it happens.